This book offers a new model for measuring the success and impact of counterterrorism strategies, using four comparative historical case studies. The effectiveness of counterterrorism measures is hard to assess, especially since the social impact of terrorist attacks is a fundamental and complex issue. This book focuses on the impact of counterterrorist measures by introducing the concept of the performative power of counterterrorism: the extent to which governments mobilize public and political support - thereby sometimes even unwittingly assisting terrorists in creating social drama. The concept is applied to counterterrorism in the Netherlands, Italy, the Federal Republic of Germany and the United States in the 1970s. 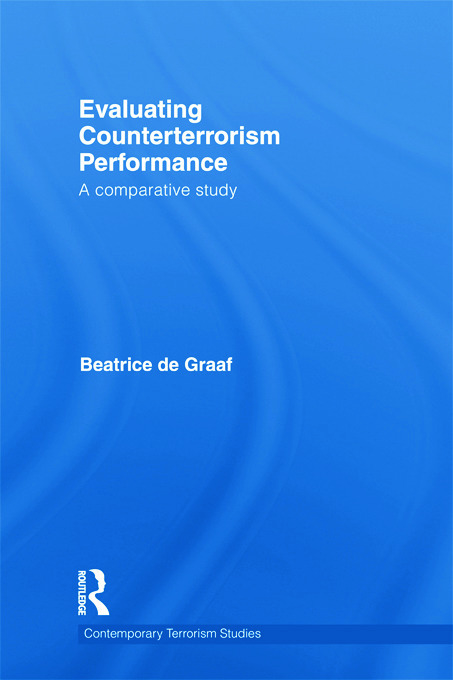 Based on in-depth case study research using new primary sources and interviews with counterterrorist officials and radicals, a correlation is established between a low level of performative power and a decline of terrorist incidents. This is explored in terms of the link between social drama (as enhanced by counterterrorist measures) and ongoing radicalization processes. This book demonstrates that an increase in visible and intrusive counterterrorist measures does not automatically lead to a more effective form of counterterrorism. In the open democracies of the west, not transforming counterterrorism into a performance of power and repression is at least as important as counterterrorism measures themselves. This book will be of much interest to students of terrorism and counter-terrorism, discourse analysis, media and communication studies, conflict studies and IR/Security Studies in general. Beatrice de Graaf is a Historian and Associate Professor at the Centre for Terrorism and Counterterrorism at Leiden University, Netherlands.